Pretty much all the beauty advent calendars I've shown you so far have been for women - here is an exception. 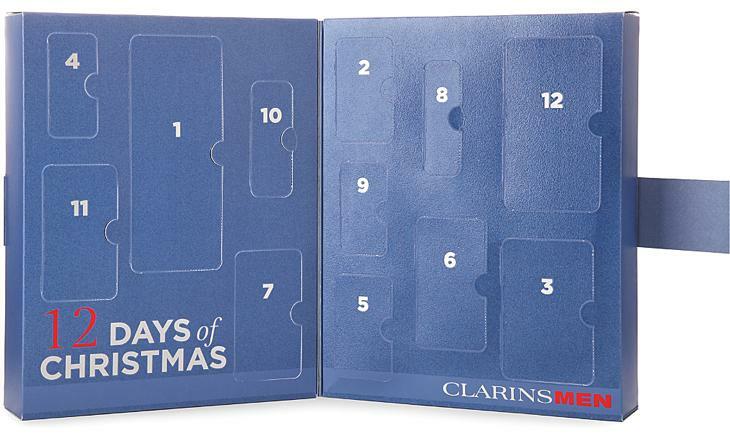 The 12 Days of Christmas kit from Clarins Men is a Twelvetide calendar, to be used as a "post-Christmas Survival Kit". Packed in a blurple box, with 12 "windows", the kit is packed with bath and body and skincare treats for the special man in your life. 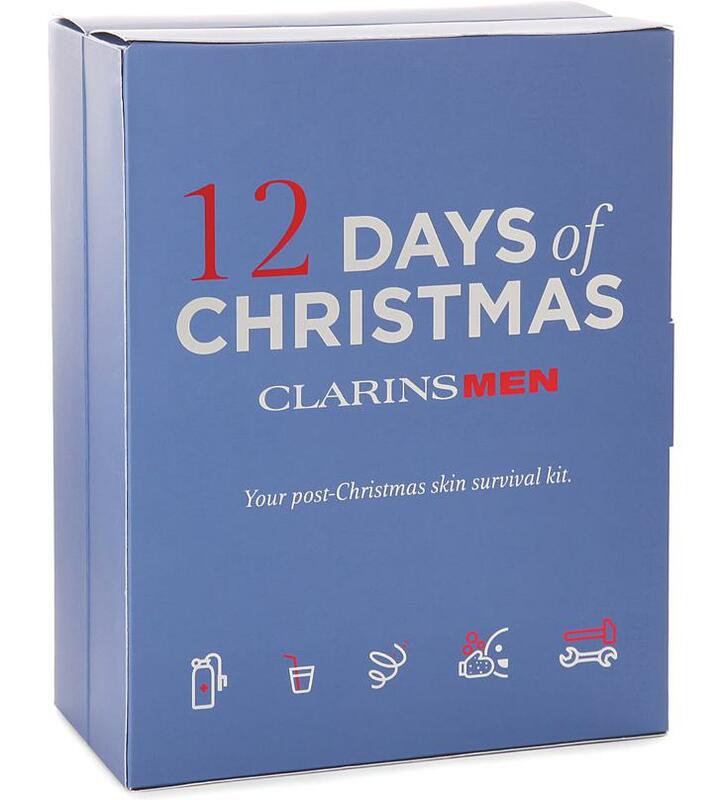 Scroll down for the contents of the Clarins Men 12 Days of Christmas Calendar. 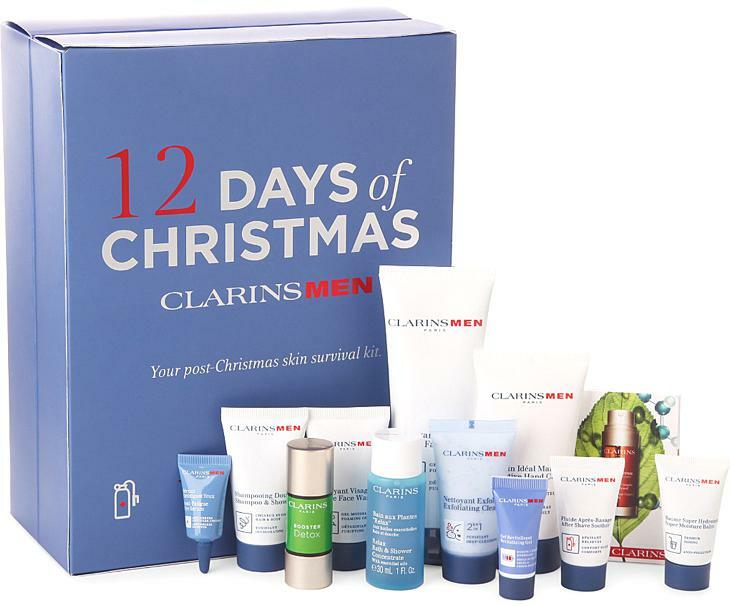 This is the perfect Christmas gift to make a man feel very special, with 12 surprises. There is everything from aftershaves to detox serums. A great choice for the significant others, fathers, brothers, uncles, friends and sons. The Clarins Men 12 Days of Christmas Advent Calendar ships worldwide (yay)! Buy it here for $80 and surprise your man in December!